It was one of those afternoons. There was already many inches of snow in the driveway. It was cold, it was dark and it was still snowing very hard; not a fit night out for man nor beast. It was a day for indoor projects. 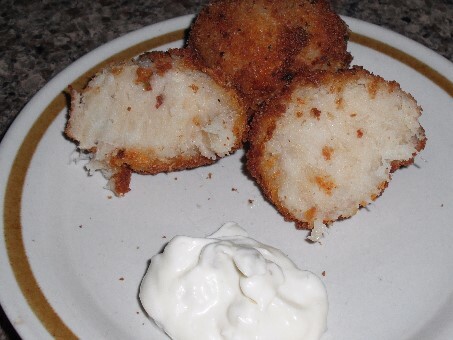 I had recently acquired some salt cod and I wanted to make a batch of cod fish balls , something remembered from childhood. I quickly gathered the ingredients for the cod fish balls. Everything was at hand and making them was quite easy. While they were cooking I sought out the condiments. That’s when I found the cupboard was bare. Tartar sauce was nowhere to be found and what with the outside weather blowing snow I wasn’t going to drive to the store. I would have to make some homemade tartar sauce. Looking for those ingredients I realized the cupboard was barer than I knew. 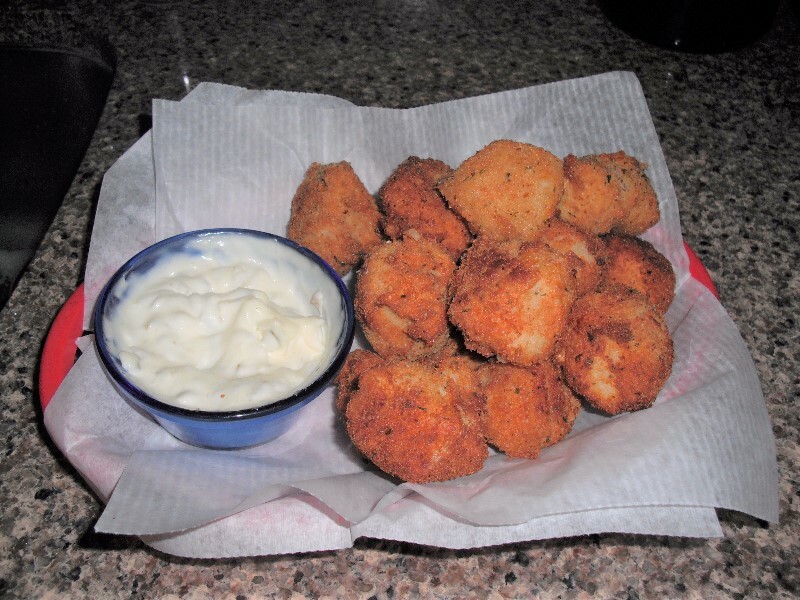 I had to make some substitutions and I added some horseradish for a bit of extra kick; something those cod fish balls might need on this cold and snowy day . Later, out of curiosity, I looked up horseradish in Wikipedia: “The word horseradish is attested in English from the 1590s. It combines the word horse (formerly used in a figurative sense to mean strong or coarse) and the word radish.” The word is old and has been around a long time and I learned something new. Preparation is simplicity itself. Combine all ingredients and thoroughly mix by hand to avoid breaking the mayo emulsion. Chill to firm and meld the flavors before serving.